President Obama shook the hand of Cuban leader Raul Castro at Nelson Mandela’s funeral and set off a speculative gabfest among the taking heads. 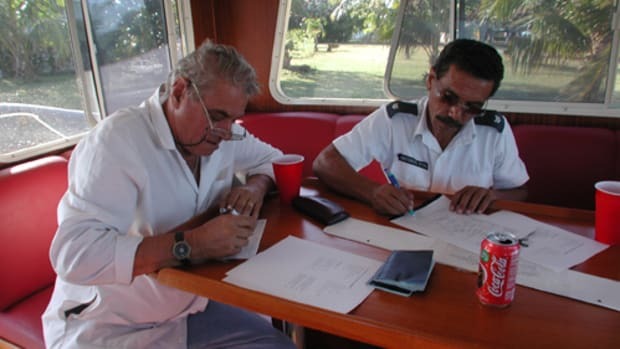 Meanwhile, another bit of Cuba news, which I would argue may be related to the handshake, was being slowly disseminated to the boating world — and receiving scant notice. 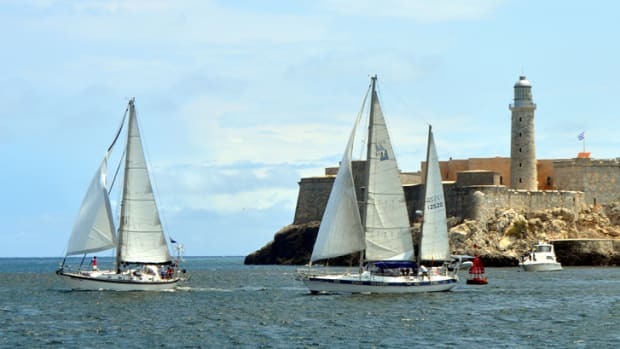 Last month, Cuba issued Decree 314, which lengthened the amount of time that a foreigner can keep a boat in Cuba from one to five years, renewable if approved by the boat’s Cuban marina staff. In other words, an American boater can keep a vessel in Cuban waters for as long as 10 years without having to take it out and come back. The owner, meanwhile, could come and go by other means, keeping the boat at a marina. 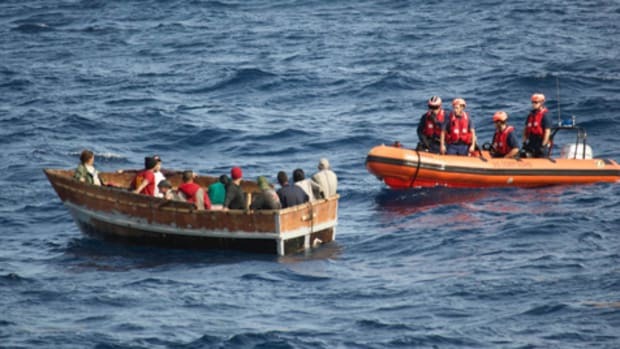 The Cuban government at the same time announced that the 5 percent import tax on foreign boats, formerly levied after 365 days, had been abandoned. 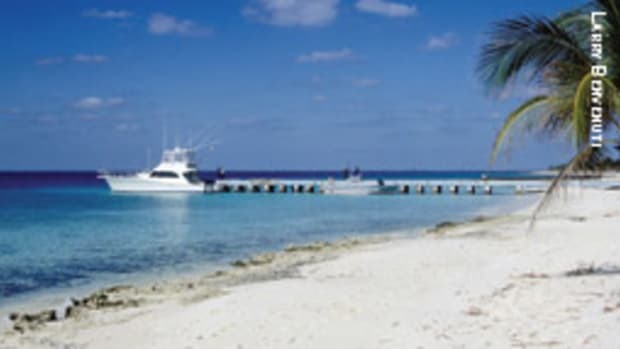 Not so coincidentally, this decree comes at the same time that Cuba’s Gaviota company is opening Phase One of its new marina at Varadero, 90 nautical miles due south of Marathon, Fla. 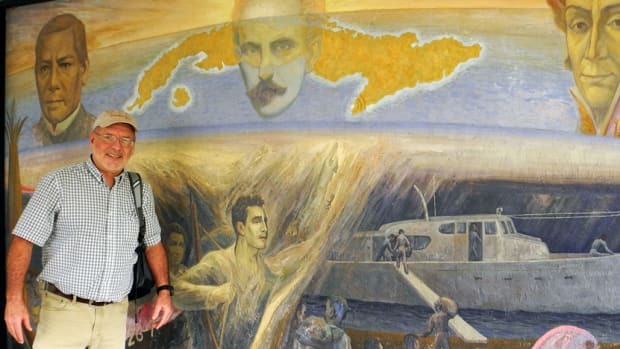 This information comes from the www.CubaStandard.com newsletter, which focuses on economic news from the island nation. 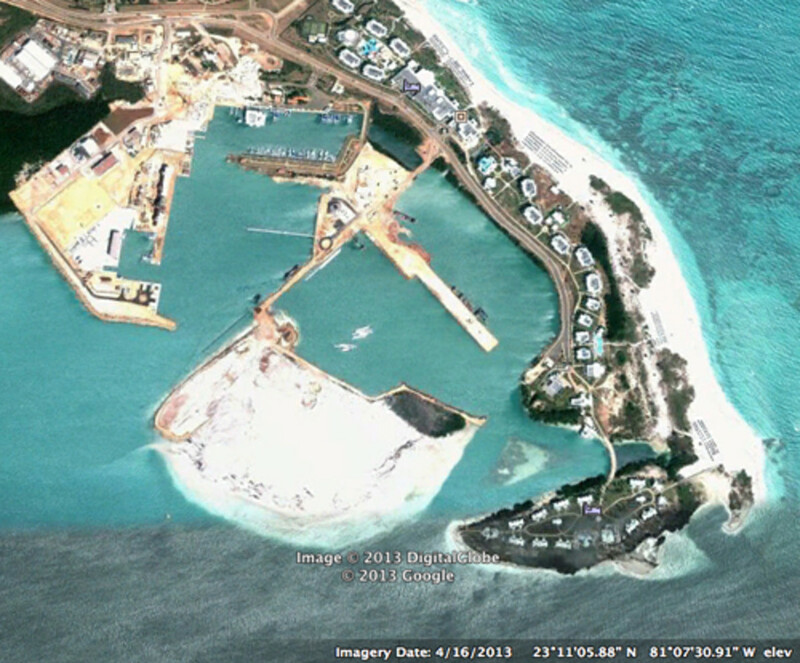 This is a satellite view of the construction of Marina Gaviota Varadero. 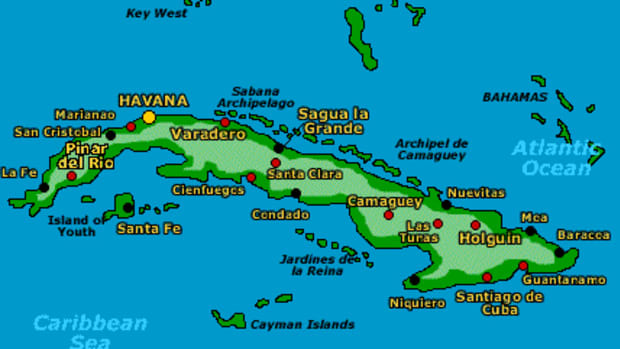 Gaviota is a subsidiary of the Cuban military, which has partnered with foreign companies to build a billion-dollar resort complex at the tip of the Hicacos Peninsula, about a 90-minute drive east of Havana. Phase 1 will accommodate 400 boats, in addition to the scant 789 slips already in place. (Keep in mind, this is on an island that you would have to cover nearly 1,700 miles to circumnavigate!) 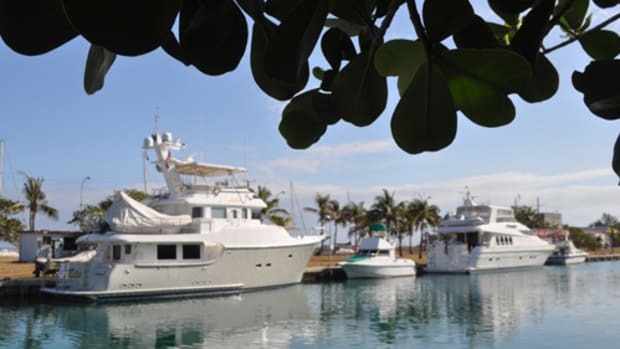 At buildout, the marina will be the largest in the Caribbean, with a capacity of about 1,250 boats and berths for six megayachts. The $1 billion project at the tip of the Hicacos peninsula also will include hotels, condominiums and a retail center. 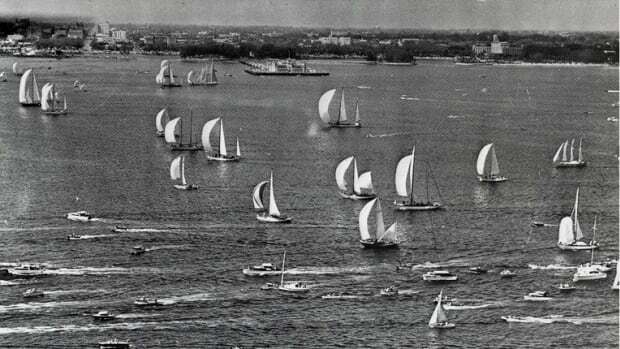 At the moment all this is moot because recreational boats are forbidden to go to Cuba, even though their owners might have the right to go by other means, such as a specific U.S. permit, being of Cuban descent or, in my case, by virtue of work as a journalist. Even some reputable sources, such as www.noonsite.com, fail to understand that Americans need more than approval for themselves if they want to take a boat to Cuba; they must also have a U.S. Commerce Department “export permit” for their boat. As a matter of official policy such requests have been denied to all applicants with recreational vessels since the administration of George W. Bush. I know because I went through the process and have interviewed others who also were denied. Of course, many American cruisers are an independent lot, painted with a streak of libertarianism. My estimate, based on access to Cuban documents, is that about 120 American boat owners defy the U.S. travel ban every year. I like to say that they adhere to a “personal foreign policy” at odds with the official one. You can tell their boats in the Cuban marinas because they often have a piece of carpet clamped to the transom obscuring the boat’s name and home port. That’s because in past years the American-embassy-that-is-not-an-embassy in Havana would dispatch covert operators to walk the docks, secretly videotaping whoever was there. One American called home while he was still in Cuba to find that a letter had arrived by mail, notifying him of a $10,000 penalty, or so the story goes. “The handshake” also happened in the same year that two excellent new Cuba cruising guides have been issued. Canadian Capt. 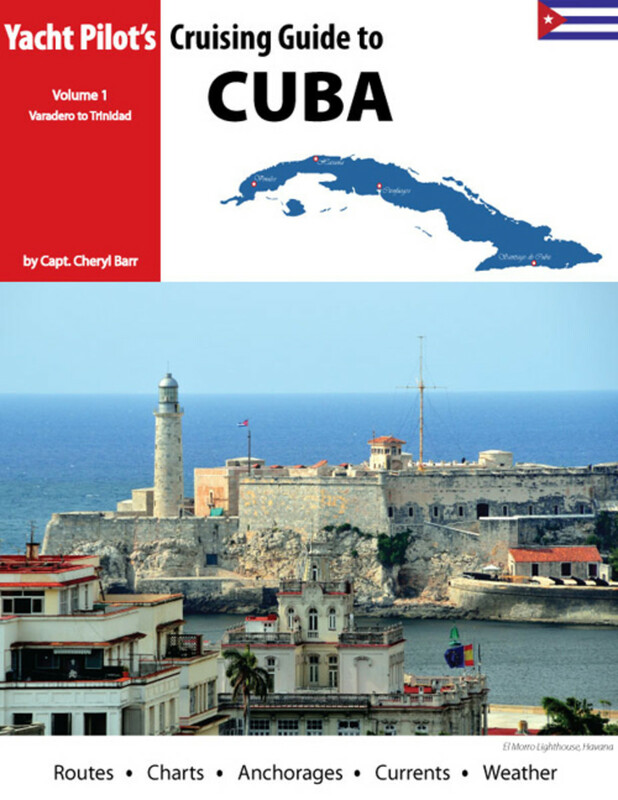 Cheryl Barr has released “Yacht Pilot’s Cruising Guide to Cuba: Volume 1,” covering the western half of the island, including the aforementioned Varadero. Amaia Aquirre and Frank Virgintino are offering their “Cruising Guide to Cuba” as a free download from www.freecruisingguides.com. Cheryl Barr, a Canadian and licensed captain, has made more than a dozen extended voyages around Cuba to research her book. The talking heads are speculating that the historic handshake might be a harbinger of peace. The anti-reconciliation dinosaurs of South Florida are urging us to continue the Cold War until someone returns their ranches and 1954 DeSotos. Meanwhile, for all we know, Barack and Raul were just being polite to one another. But relations are improving very, very slowly nonetheless, and maybe the ability of two leaders to act politely is reflective of that. Some stuff is happening behind the scenes that I am not at liberty to discuss at the moment. Stay tuned, and maybe we will see the handshake, new Cuban regulations and new Cuban infrastructure come together in a way that benefits American boaters and ordinary Cubans in Cuba, not to mention the U.S. marine industry. Ojala que si!